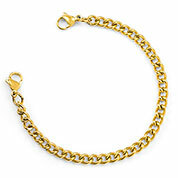 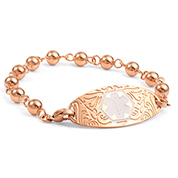 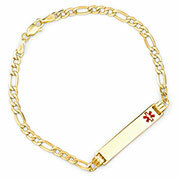 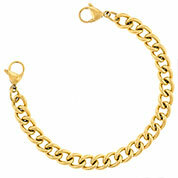 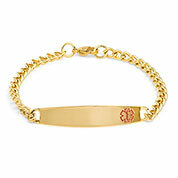 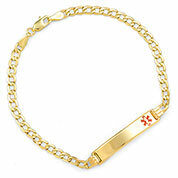 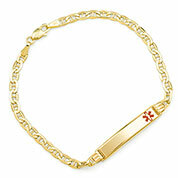 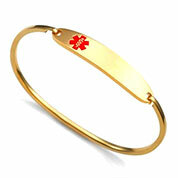 We carry gold medical bracelets in a variety of styles. 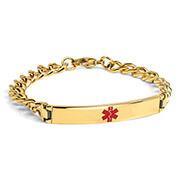 The vast majority of our gold bracelets can be engraved both front and back with laser to include additional health safety details. 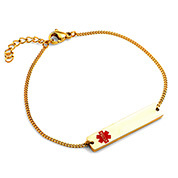 For a minimal look, choose one of our bar bracelet options or if you have the need for more engraving space, perhaps one of our easy slide on and off bracelets with an oval medical ID tag is better suited for you. 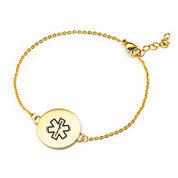 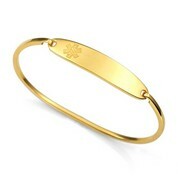 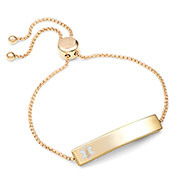 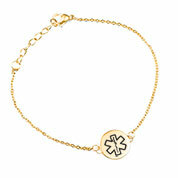 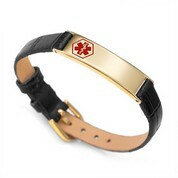 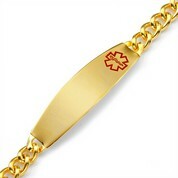 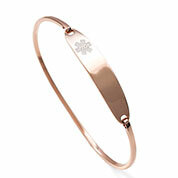 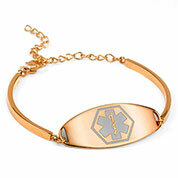 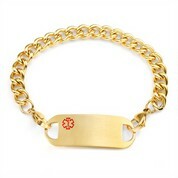 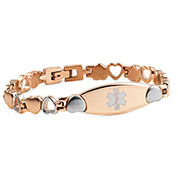 Shop today and find your custom engraved gold medical alert bracelet to last for years to come.